There’s no shortage of paid-for and free fonts available for designers to choose from these days. But what if you want a typeface that’s really special and stands out – maybe for your creative resume or a new logo design? Whatever the project, these professional fonts are certain to give your designs an air of sophistication. Named after a small town at the base of the Alps in Northern Italy, Aviano typeface is inspired by the power and timeless beauty of classic letterforms. 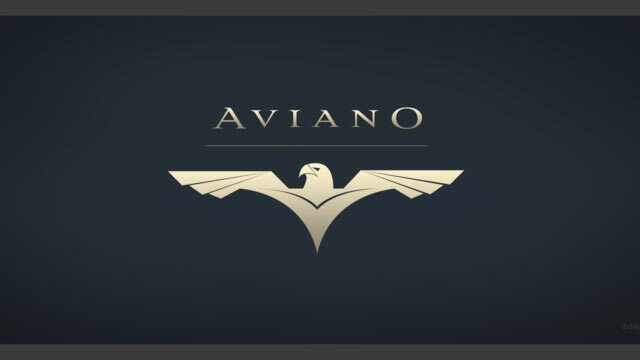 A gorgeous design, Aviano was created by type designer Jeremy Dooley, owner of one-man foundry Insigne. Trojan is one of many stand-out designs by creative genius Alex Trochut. Created back in 2012, professional font Trojan was used extensively throughout Wallpaper after its initial release. Based on classic Roman structures, Trojan has a very sophisticated set of glyphs, which, in turn, gives this font a classic contemporary appearance. The product of type designer and teacher Tobias Frere-Jones, Mallory is a beautiful professional font, which began as an experiment in mixing typographic traditions, building a new design with British and American traits. Frere-Jones has a number of best-selling type designs under his belt, however Mallory is his latest, released late last year, it’s his first font since splitting with longtime creative partner Jonathan Hoefler. Created by infamous type designer Erik Spiekerman, FF Meta was first called PT55, a typeface made for easy reading at small sizes for West German Post Office in 1985. Spikerman continued work on his design to include more weights and styles, later releasing it as FF Meta, one of the first and truly foundational members of the early FontFont library. With a clean, cheery and distinctive aesthetic, professional font FF Meta flourished in the early 1990s and has become a firm favourite ever since. in 2011, the Museum of Modern Art in New York added FF Meta to its permanent collection, one of only 23 fonts selected to represent typography of the digital era. Beefy slab serif Soho is the product of renowned type designer Seb Lester. The super family has over 40,000 glyphs and represents three years worth of work by Lester. “As a type designer I’m preoccupied with finding ways in which I can address modern problems like good legibility in modern media, and create fonts that work precisely and efficiently in the most technically demanding of corporate and publishing environments,” he comments on the Monotype website. American letter designer Meyer ‘Dave’ Davison was arugably one of the most distinguished lettering artists of the 20th century. With a library of Spencerian designs, Davison Spencerian typeface made its first appearance in Photo-Lettering’s 1946 catalog and remains a benchmark of the ornamental script genre. Tireless hours have been spent by Mitja MiklavÄiÄ and House Industries designers Ben Barber and Ken Kiel to preserve the poise and precision of Davison’s masterwork in this faithfully-rendered digital incarnation. The House Industries website states: ‘From automotive exhaust accessories and pirate-themed wedding invites to New Orleans sissy bounce hip-hop CD covers and upmarket bivalve ambrosia packaging, Davison Spencerian offers sober sophistication and unparalleled flexibility’.